My Very Own Recipe! I spent last week messing around with different cookie combinations, and these cinnamon sugar cookies are by far the best I’ve come up with thus far. I plan on cutting these babies into holiday shapes, and bringing them to my Work Holiday Party tomorrow night. Hope you guys enjoy the recipe as much as I do!! Spice Up Your Homemade Egg Nog with the All Natural Recipe! So I’ve been given the task of making the Egg Nog this year for my family’s Christmas party. However, I wanted to spice up the traditional eggnog recipe. Thanks to Wellness Mama and Thank Your Body, I was able to do so! Check out my All Natural (for Adults Only) Egg Nog How-To Video! I might even give me boyfriend’s family a batch of this wonderful stuff as a Christmas Eve gift as well! Check out my “How To” video below in which I make some awesome all-natural gummies! I’ll definitely be giving these to my little cousins at our family Christmas party. I wonder where I can find Christmas themed molds…. Special thanks to Hollywood Homestead for the recipe! Check out the site for more awesome natural and paleo recipes. According to a report released on August 7th, 2014 by the American Dermatology Association (ADA), research suggests stress relief techniques may help relieve skin outbreaks. Alternative forms of treatment in the form of stress relief techniques could become treatment options for dermatology patients. Dermatologist Richard D. Granstein, MD, FAAD of Weil Cornell College department of dermatology explained the relationship between the nervous system and skin conditions in the ADA article. He stated that the nervous system has an affect on inflammatory skin conditions. Stress can cause the nervous system to increase the production of certain chemicals that casuse inflammation in the skin. Since this finding, alternative treatments to reduce stress such as mediation and yoga are being recommended by dermatologists. Dr. Ciliberto suggests her patients suffering from stress due to their skin condition also be treated for anxiety and find stress relief outlets. She suggests practicing deep breathing daily. So what kinds of stress relief outlets are there? Many holistic healing sites, such as Undergroundhealth.com, recommend doing yoga for stress and anxiety relief. 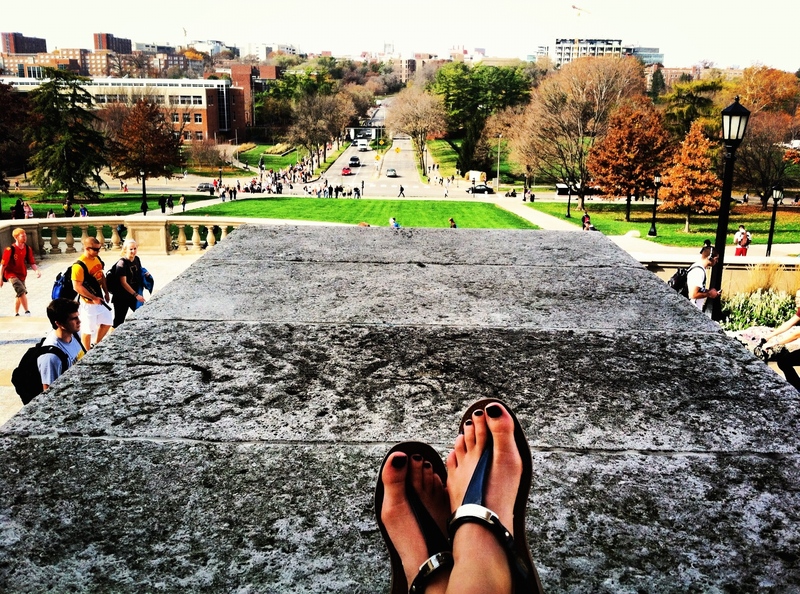 One student at the University of Iowa, Taylor Stewart swears by this. Now, holistic healing facilities and yoga studios could expect an influx of patients suffering from stress-induced or exacerbated skin conditions. Those suffering from persistent acne or stress related outbreaks might want to consider taking up yoga or meditation as a form of therapy. So next time you find yourself breaking out, sit back in a peaceful spot, and try yoga-inspired meditation. That’s what I’ll be doing.